My research in French aerial bombing has turned up a number of references to dropping propaganada leaflets. The 1st Groupe de Bombardement (GB1) dropped leaflets in German-held areas a number of times during night raids from May to September 1917. They mentioned numbers as high as 12,000 or 16,000 leaflets dropped in a single night in addition to, say, 200 bombs. Sometimes they described it by weight — 5 kg of leaflets. At least some of the time during this period, they were distributing statements by President Wilson. 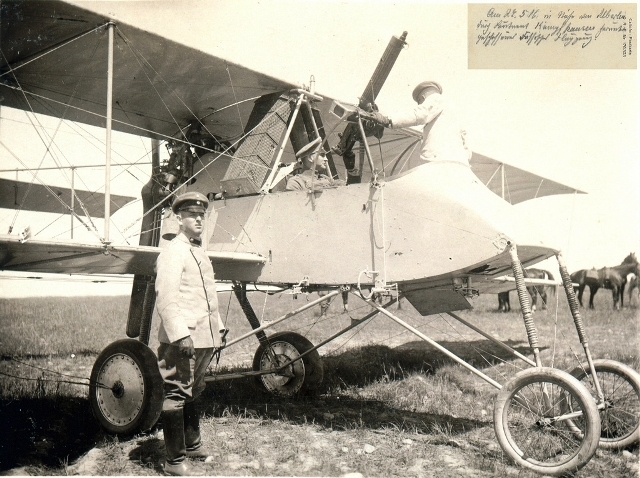 This photo of a Voisin III is from the postcard collection of drakegoodman, who posts his photos on Flickr.com. This entry was posted in Air warfare, French by World War One Historical Assn. Bookmark the permalink.